New Year’s 2018 at Avila Gardens! There was no place in town on January 1, 2018 that had as much delightful company, sweet sparkling cider, laughter and delicious food as Avila Gardens. 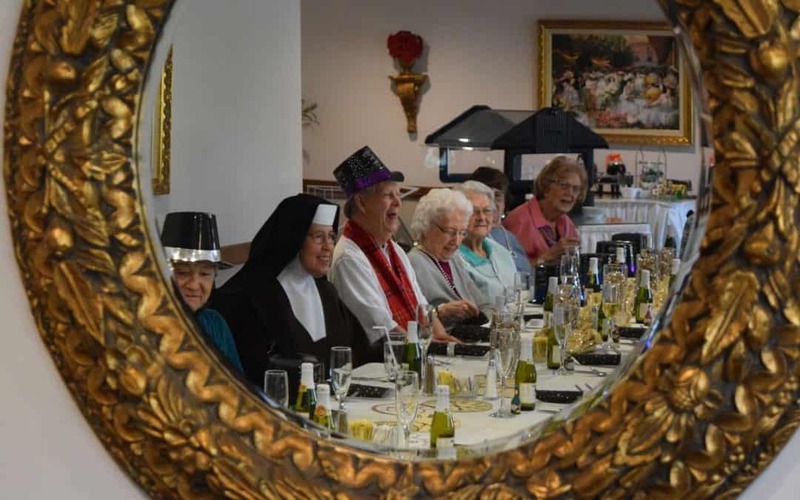 True to our family feel here at Avila, the elegantly decorated dining room was filled with friendship and celebration united in the spirit of deep gratitude to God for the many blessings we receive here daily. As our residents shared what they were grateful for from the past year (their Avila family, their children, their faith) we also joined in prayer for the future, that each would be blessed with joy and peace. Happy New Year to you from Avila Gardens!